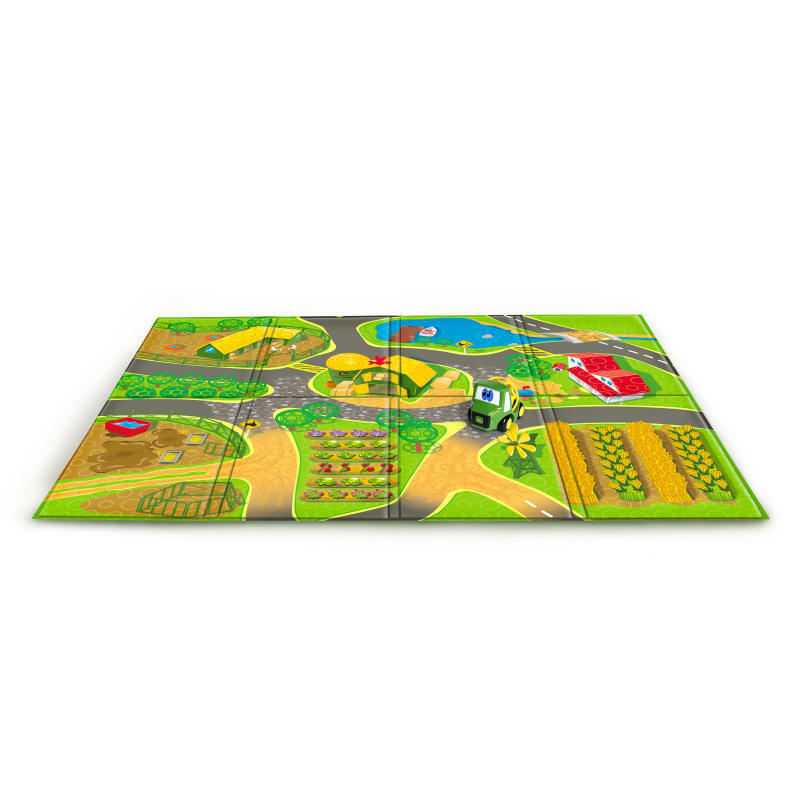 It’s fun to grow with the Go Grippers John Deere Farm Playmat. Your little farmer will have the perfect amount of space to corral mooing cows, oinking pigs and squawking chickens. With the included John Deere-themed Go Grippers vehicle, she’ll roll around the floor mat’s brightly colored rows of corn and ready-to-harvest veggies. Stop your search for the needle in a haystack, this play area is all she’ll need for her barnyard pals and hours of fun. Dimension (in) 1.5" x 37" x 42"